Shopping for Comics Bed and Bath? When you use Superhero Toilet Paper, no more courtesy flushes are needed! This toilet paper will really empower you to let rip like a superhero. Embarrassing noises from the smallest room in the house will be a thing of the past as you confidently launch into action with each tear. 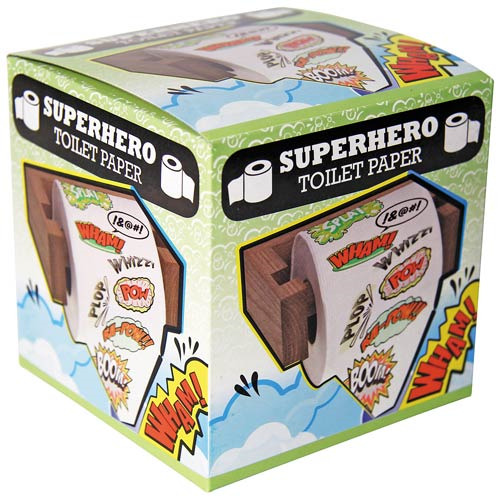 Make every trip to the restroom much more comfortable in superhero style with the Superhero Toilet Paper! The sound effects overshadow all undesirable noises. The Toilet Paper measures about 4-inches wide.